Looking for a serious fishboat? The Princecraft Nanook delivers. 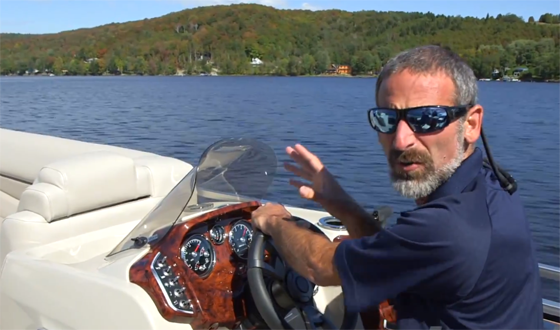 With the Princecraft Nanook DLX WS on our boat-testing agenda, I was happy to head to Canada - I love testing a hard-core fishboat. And that's exactly what the Nanook is. 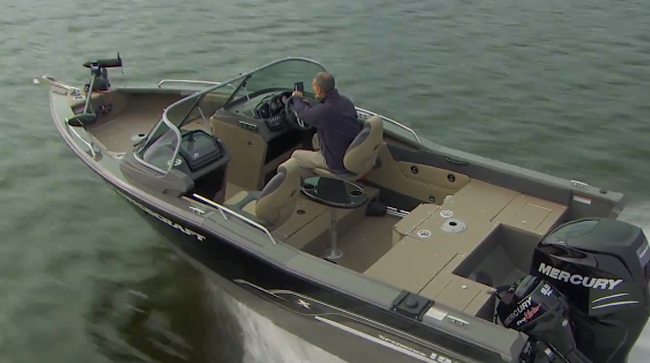 But for a fishboat, the Nanook's performance might surprise you. 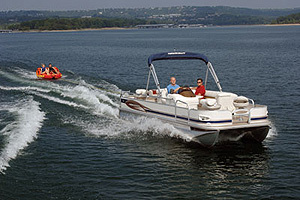 With a 115-hp Mercury four-stroke outboard I cruised along at close to 30-mph, and topped out at over 46-mph. But let's get right to the fishy parts of the Nanook: for starters, instead of carpet it has an easy-to-clean nonskid deck. Now, take a look at the cockpit. 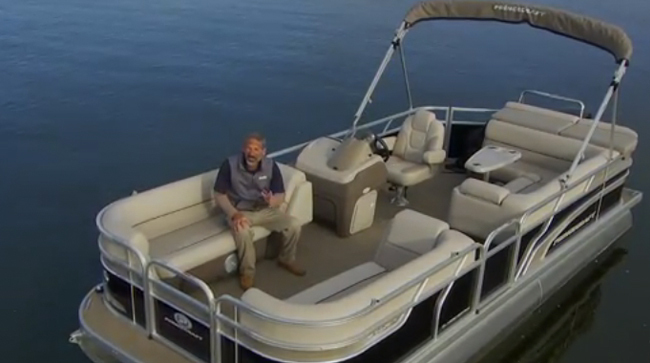 It's kept wide-open, for maximum fishability, and there's a 34 gallon livewell in the aft deck. 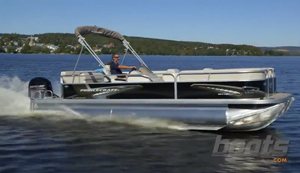 A vented, locking, center-line rodbox holds up to six rods, the hatch raises open on gas-assist struts, and you'll also find an on-board battery charger hidden in there. 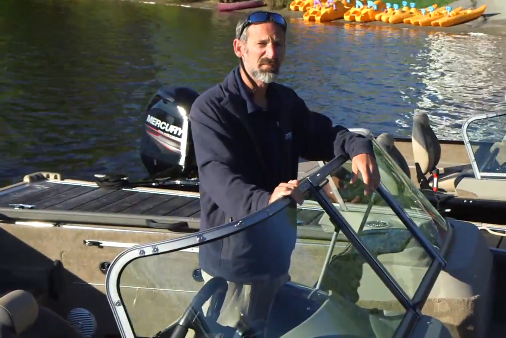 There are plenty of pedestal mounts so you can move a seat to change fishing positions, and there are plenty of trolling motor options to choose from. One beef: the glove box lid should be stronger, IMHO. 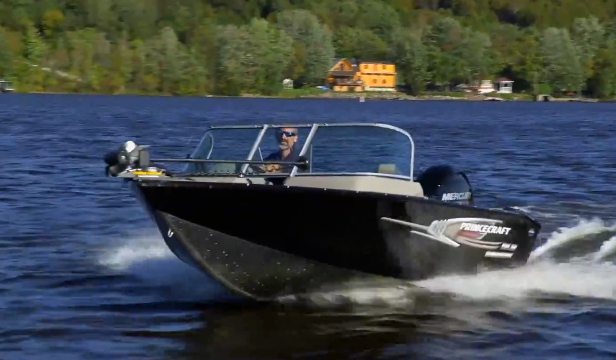 The Princecraft Nanook is a serious fishboat. 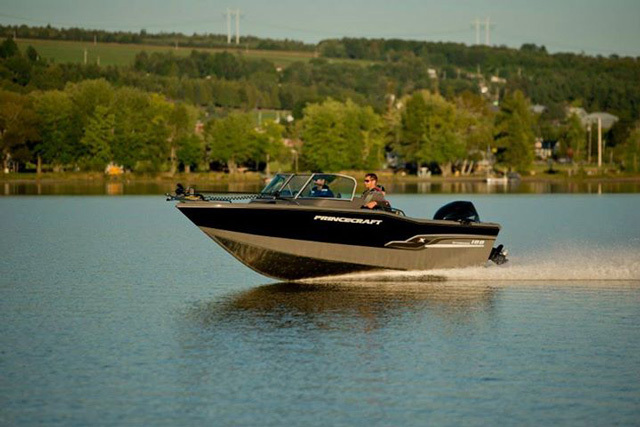 A serious fishboat has to be built tough, and the Nanook has a 5052 H36 aluminum hull that's double-plated up forward, and in high-stress areas like chines and the transom. Look at the roto-molded consoles for more evidence of a tough build; they're noticeably thicker and stronger than the norm. There's also some extra care evident in stowage compartments, which are lined so gear doesn't bang against the hull. You can get the Nanook in several different layouts, ranging from side console to dual console to wrap-around windshield. However you want it, remember one thing: this is a serious fishboat. Thank goodness. 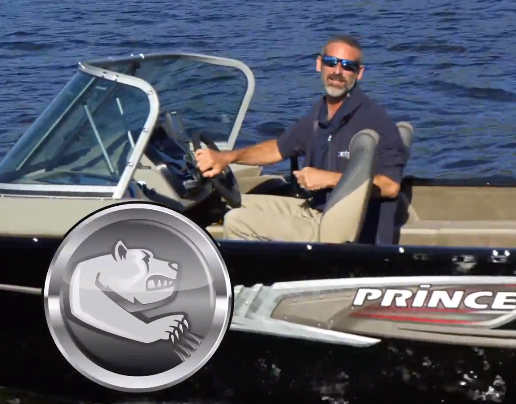 For more info, read our Princecraft Nanook Boat Test Notes, or visit Princecraft.